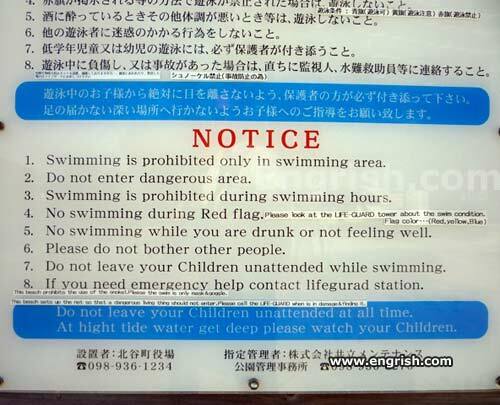 For those of you who can't view the photo, it's a set of swimming safety rules from a hotel or resort in Japan. It informs visitors that "Swimming is prohibited only in swimming area" and "Swimming is prohibited during swimming hours." Reminds me of some of the rules we had when I was in school.